Enrich any dish with a splash of our organic half and half. 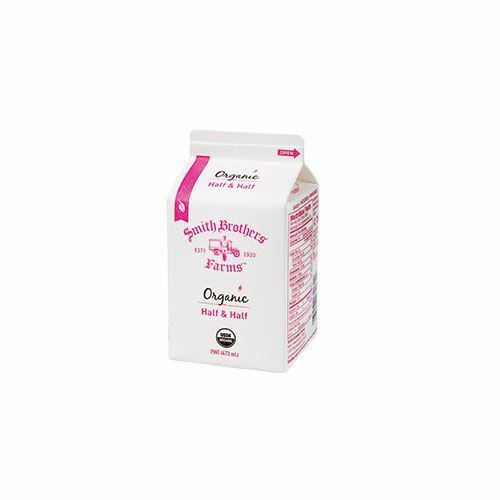 Smith Brothers Farms’ Organic Half and Half is your coffee’s new best friend. It’s rich, it’s creamy, and you’ll never drink a cup of joe without it. Our pint includes organic milk that’s rBST-free and gently pasteurized for farm-fresh flavor. Sourced from pasture-raised cows on local Pacific Northwest farms, you’ll taste the difference.